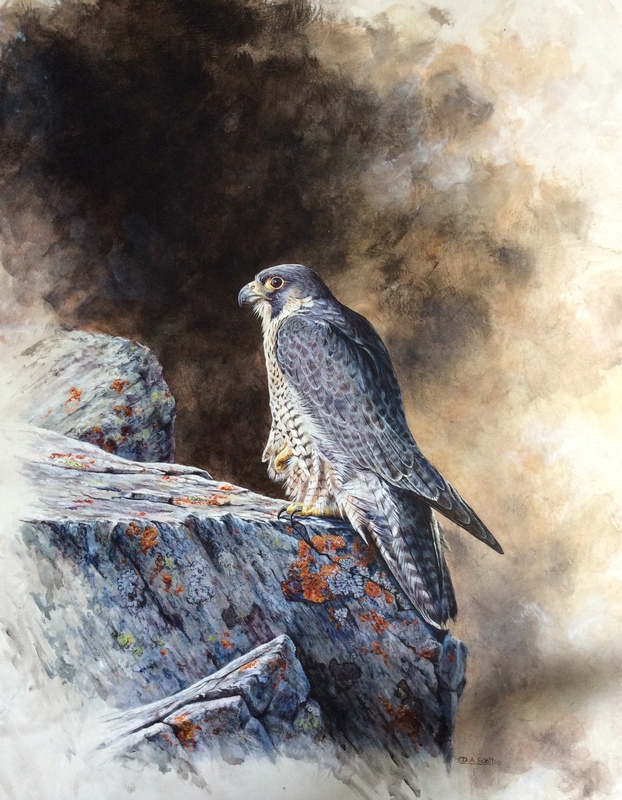 Available Now – 100 copies of this fine ‘Quarry Falcon at rest’ by local Artist David A. Scott so do not delay. You had better be quick if you want to be the owner of one of these fabulous Limited edition and numbered signed prints. At a very reasonable price of £55 plus £7 P&P the item will be shipped to your home, It will be protected in a special Art mailer tube to ensure its safe arrival. Only 100 copies are being produced and early signs are that they will be going quickly with much interest already being showed. The dimensions are 17” x 23” ; printed onto a 300gsm watercolour paper using lightfast inks which are guaranteed by the manufacturer for 100yrs we are informed. Please contact Roger on the following email mail@southwestperegrine.org.uk to place your order. Alternatively Call on 07864877125.